The Canon EF-S 10-22mm f/3.5-4.5 was one of my favourite lens, so when I saw the official announcement of the new EF-S 10-18mm f/4.5-5.6 STM IS I was really excited to get my hands on one. 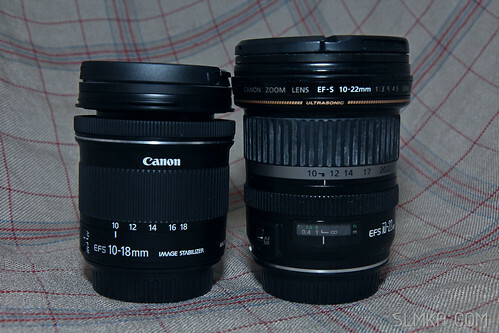 Cost much less than the 10-22mm (USD$649 vs USD $300). I believe many 10-22mm owners will have the same doubts how good is the new 10-18mm compare to the 10-22mm. * This is not a professional review and it is base on my shooting experience and requirements. Please feel free to comment or correct me if any information are invalid. 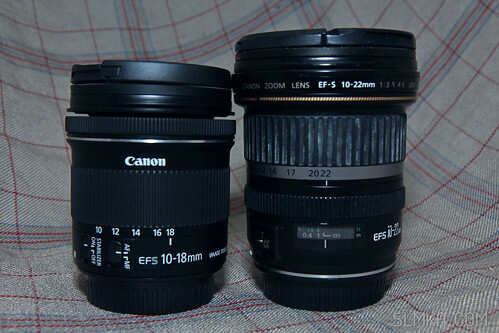 The 10-18mm is much smaller, and lighter as well. At 240g, it it almost 30% lighter than the 10-22mm. If you have use the 18-55mm kit before, it feels almost the same. The 10-18mm uses 67mm thread. A slight problem for me since my other two main lens (EF 70-200mm F2.8 IS II, EF-S 17-55mm F2.8 IS) are 77mm, so does 10-22mm as well. Which means I will have to carry more spare lens cap from now on. One main difference the 10-18mm comes with IS (Image Stabilizer), which gives you up to 4-stops. We will discuss more about this on a next review. 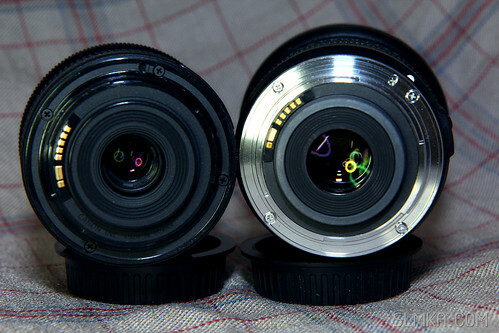 The 10-18mm have a plastic mount while 10-22mm is metal. Not really a big deal as the 10-18mm is pretty light weight. The 10-18mm extends out during zoom. While the 10-22mm is a IF (internal focus) design. Personally IF is my preference as it reduce the amount of dust could be sucked in and easier to mount a rain coat on the camera if it is necessary. The 10-18mm uses Canon’s new STM (Stepping Motor) technologies which provides smoother zoom and continue focus (video) on newer Canon DSLR’s. 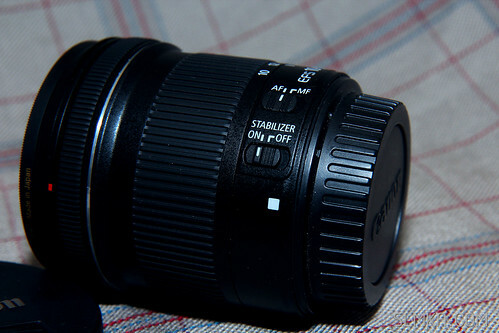 While the 10-22mm uses USM (Ultrasonic motor) but it provides FTM (Full Time Manual) and have also provides a focus window. The front element of both lens does not rotate, so mounting of CPL or other filters is not an issue. 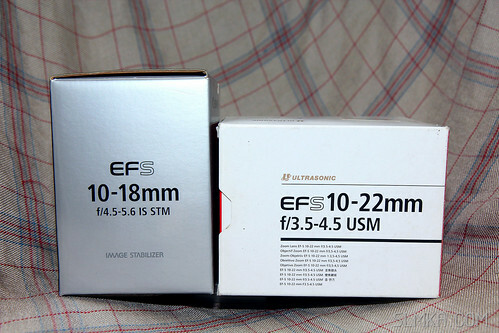 The EF-S 10-18mm is a really small and light weight lens, its budget price will sure attract many to own one, especially with the IS. 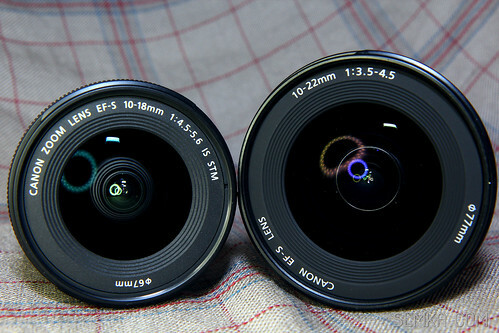 But for current owners of EF-S 10-22mm, it may be a tough choice. I will cover the hands on part of the lens on my next review.